We LOVE pizza. We LOVE pizza delivery. And you know what is a MUST with my pizza? 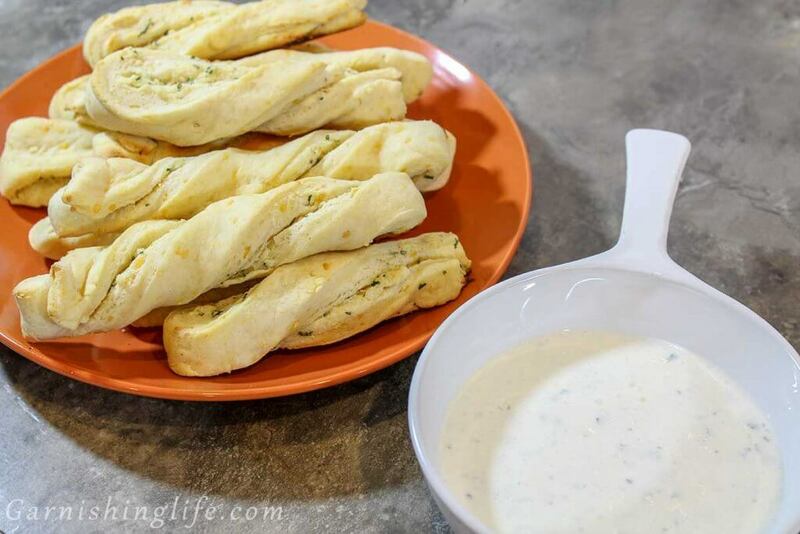 A side of whatever garlic, cheese bread or sticks they may have to offer- with tons of ranch. Well, when you’re settling for a frozen pizza to save some money, you also need a yummy app to go with it. 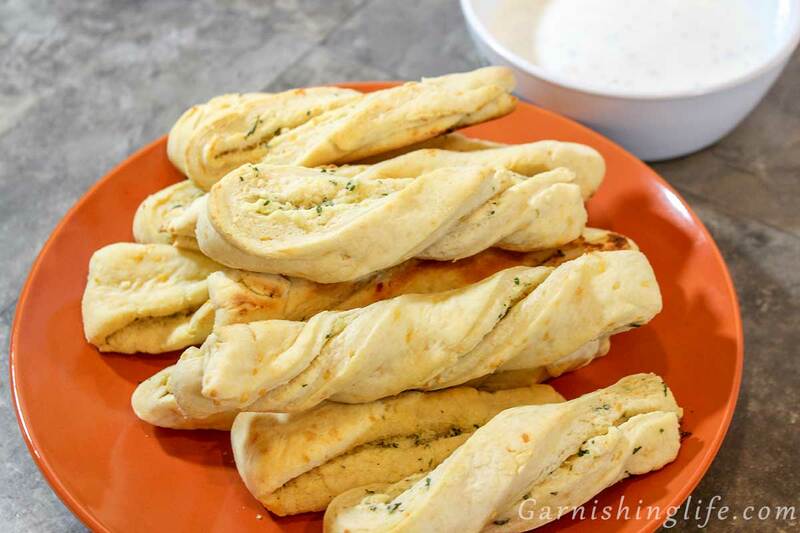 Enter, the Cheesy Garlic Twists. 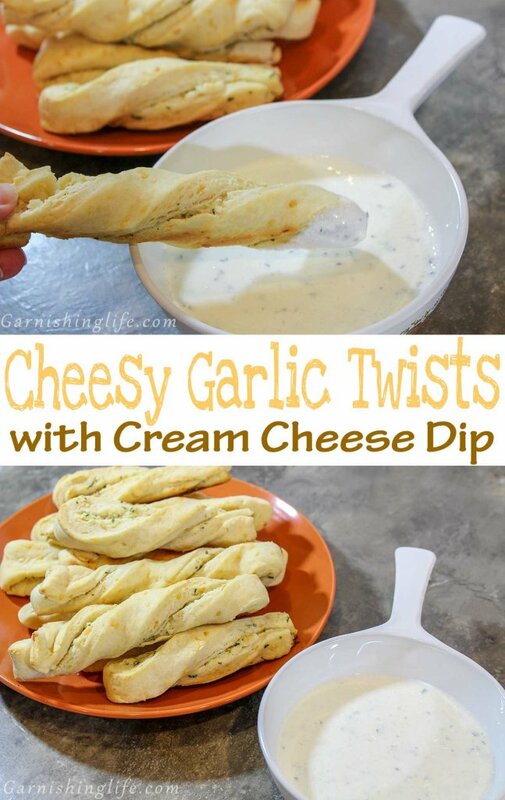 It’s bread and cheese and garlic and has a delicious Cream Cheese Dip. It makes for a yummy addition. Where do we start? Preheating the oven to 375°. Spray down a cookie sheet with some cooking spray. Now, we make the dough. Whisk together flour, baking powder, and salt. Weirdly enough, I like to cut butter into the flour. It’s a fun step for me. Anyway, cut some butter into the flour mixture. Then add in the milk, cheddar cheese, and water. I like to use my electric stand mixer to beat the dough with a dough attachment. Then we make the spread by mashing the butter with garlic, parsley, and parm. It smells pretty good. I like to work with the dough one half at a time to ensure I can roll it out. You can do it all in one go if you prefer. Before you roll it out, sprinkle some flour around. Roll yourself a rectangle and then spread out half of the butter. Cut out 6 equal strips. This next part is so hard to explain in writing: fold each strip in half, with the spread facing inside, so you make a little sandwich with the spread in the center. And twist. 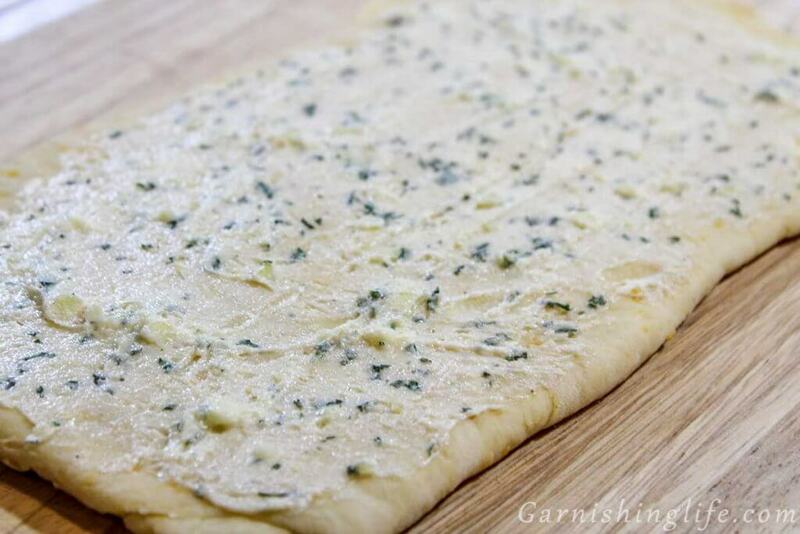 Do this with all the dough. Bake on the center rack for 13-15 minutes. Cool on a wire rack for just a few minutes before removing from the sheet. 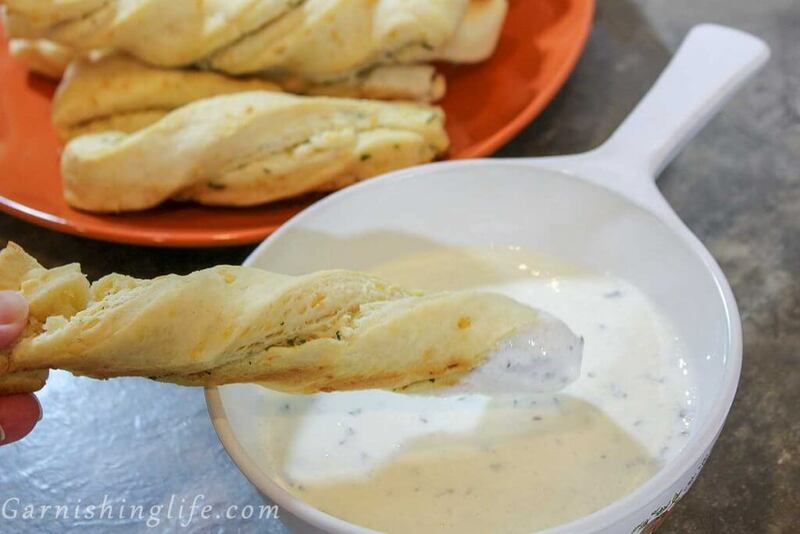 While the Cheesy Garlic Twists are baking, I whip up a little dip for them. I think it better compliments the flavor of the twists than your normal ranch. Start by mashing together cream cheese and sour cream with a fork. Then very slowly pour in the milk while continuing to mash. Stir in the seasonings and voila. All done. 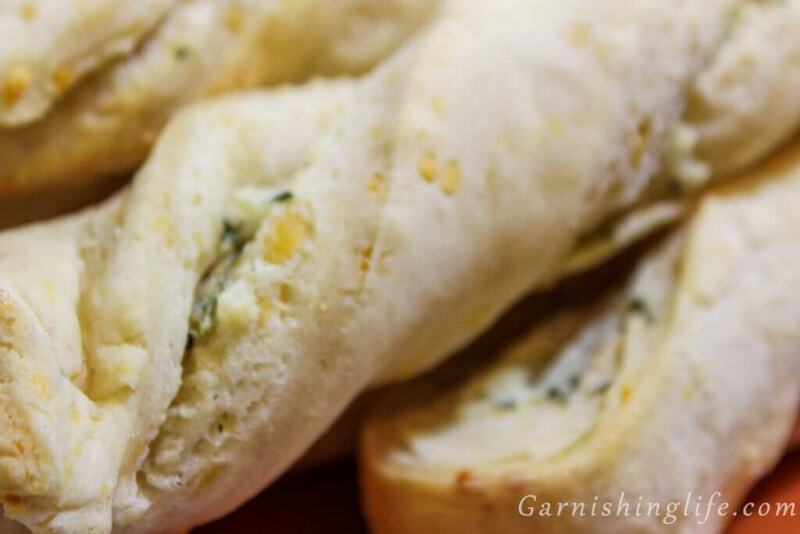 If you want to be fancy, you could garnish the dip with a sprig of fresh parsley or basil, if desired. 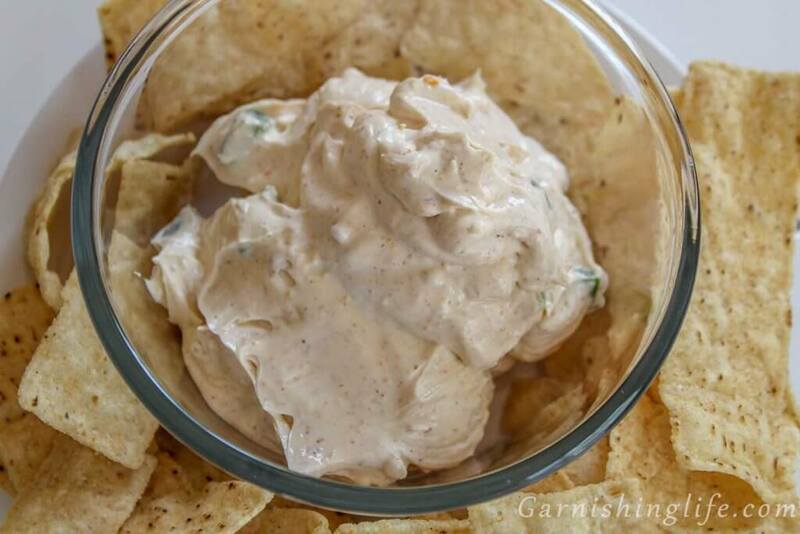 I know I usually garnish my recipes, but I consider the dip the garnish to the twists! 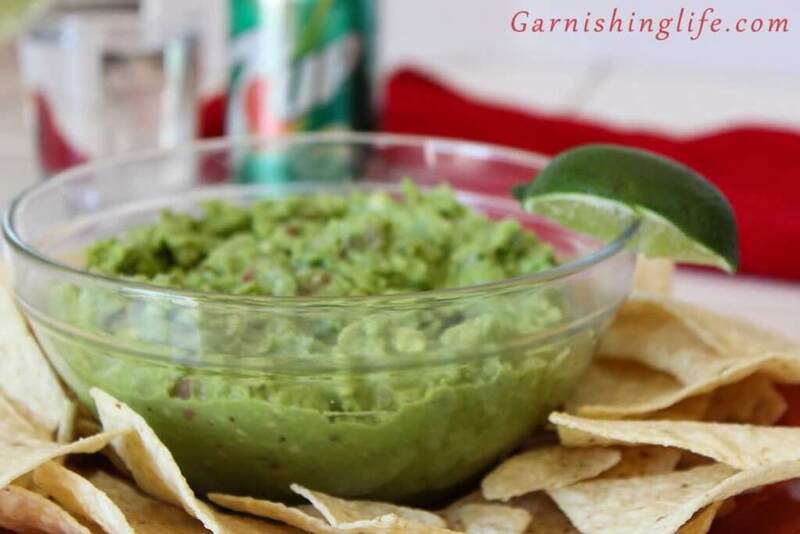 If you’re looking for some tasty party snacks, also give our 7UP Guacamole and Taco Schmear a try. They are both delicious with tortilla chips. 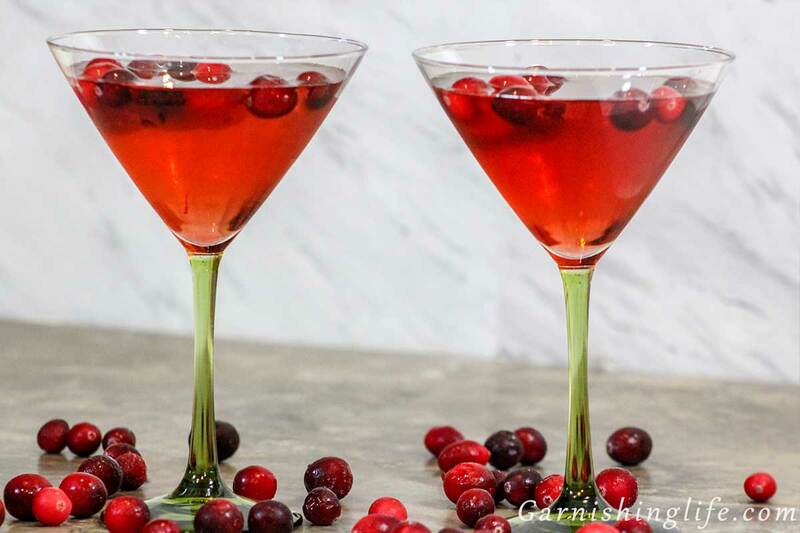 Be sure to follow us on Facebook, Twitter and Instagram @GarnishingLife. The more cheese the better, for me. So I made this with the max amount - maybe even extra. 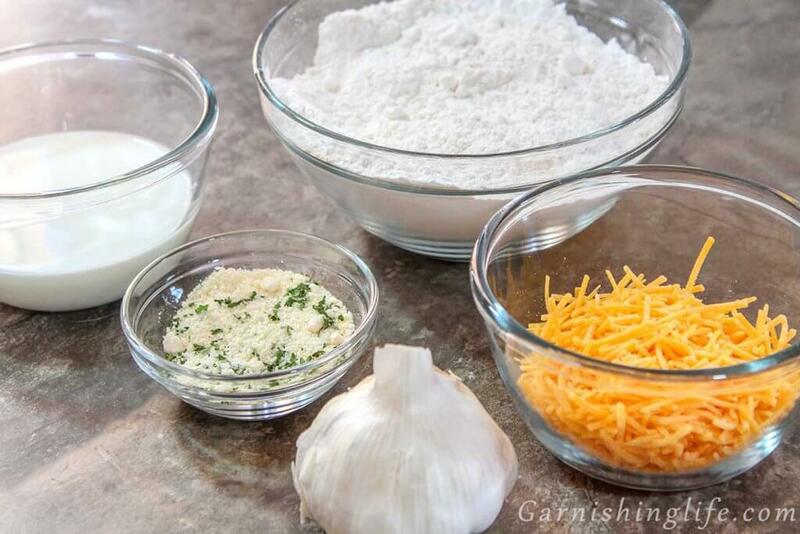 You can go much lighter and it will still be cheesy! When adding the boiling water to make the dough, add 2 or 3 tablespoons while mixing. Add the additional 1 or 2 as needed. Sometimes the dough does not blend as perfectly as the last time, don’t be afraid to take what has formed already and knead it in your hands while adding the crumbles that wouldn’t incorporate. Then return it back to the mixer and add another tablespoon of boiling water. This always works for me. When baking the twists, do not judge the readiness by color as they do not brown until they’ve been overcooked. 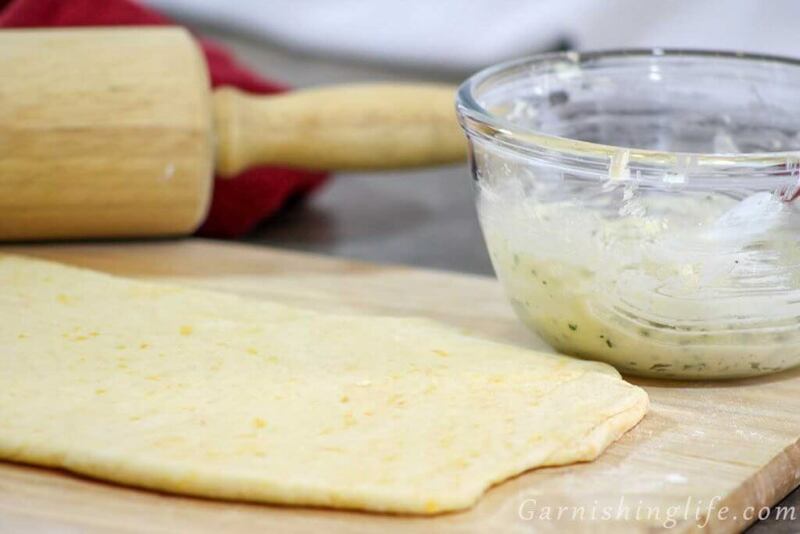 The twists may still look like dough when done. Test for doneness by touching. 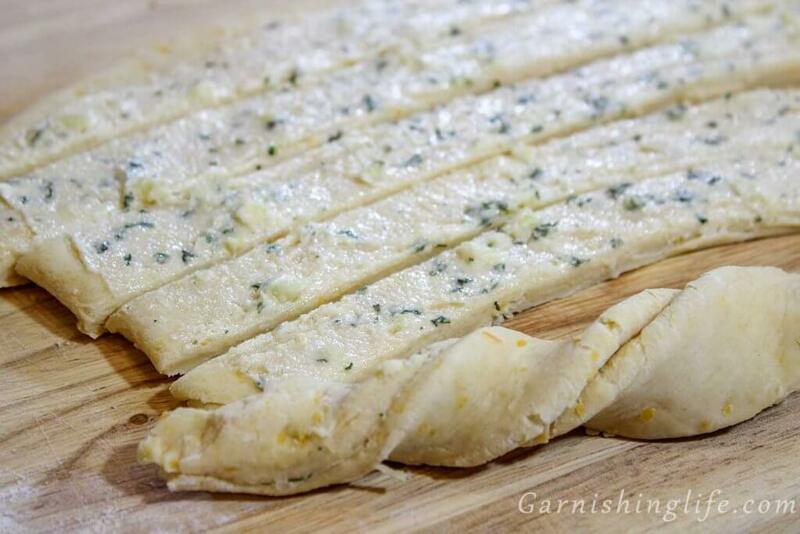 The garlic flavor is not overwhelming, add more garlic if a very garlic-y twist is desired. 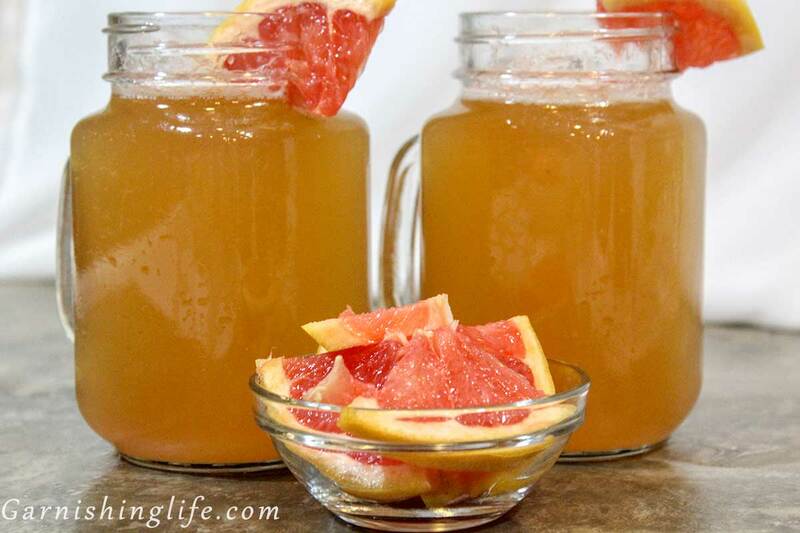 Recommended to serve the twists warm and the dip cold for the best result. Refrigerate twists and dip in airtight containers for up to one week.